Our parents were the ones who gave life to us. When we were infants, they were the ones who would stay up all night just to make sure that we are sleeping comfortably. Whenever we are sick, they would find ways to treat our headaches or any painful part of our body. As we grow up, we started to have our own priorities and we tend to be more focused on our own lives already. We are slowly forgetting that our parents are growing old and they greatly need our presence and care. 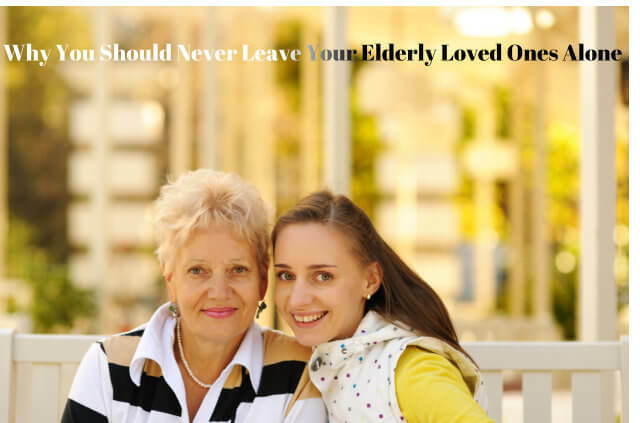 We understand this need for companionship by senior patients at Optimum Care Home Care Services, a trusted non-medical home care in VA. That is why we are doing our best to respond to this need. Our caregiving services are available in order to help the seniors from their basic needs and even up to their medication needs. Because of this, we can ease the burden of their direct family members and give them more time to bond and do the things they love. Being alone equates to feeling somber and depressed. When we are not pre-occupied with something, our minds usually play with us. This is not a new scenario to seniors who are living on their own. They will develop the feeling of being ignored and neglected. They would think that they are not important to their own family anymore because they are old and useless. These negative thoughts are often times the reason why most seniors will have cases of cardiac arrest or hypertension. Being depressed will make one stressed out and because they have no one to talk it out, they will keep it to themselves. Due to their fragile bones, our elderly loved ones are prone to accident. They might slip easily on a wet floor or cut themselves while cooking and this is very dangerous. If they are living alone, nobody will know their condition. If no one can bring them to the hospital right after they had an accident, the bruises or the infection might spread causing worse problems. Thus, as family members, we have to be sensitive to the needs of our loved ones. We have to be keen whether they need a caregiver or just a companion who can monitor their daily activities and help them with their hygiene. This is also another important reason why seniors need a close companion. Their immune system is not that efficient anymore; hence, they can get sick or be infected by virus easily. A caregiver or a family member should be there to check on their health. Even the slightest hint of a cough and colds must be treated right away. A cough, colds, and flu, when not treated right away could lead to a worse condition. There is a possibility that it could be an indicator of a more serious illness and you will not even know about it. Thus, it is always good to have someone check on them every now and then. As we age, our food preference changes as well. There are times when we just prefer to eat oatmeal or fruits and sometimes we just forget to eat. Having a companion means having someone who can help monitor your loved one’s nutrition. They will be able to give them the right foods they need and feed them on time. This would be greatly beneficial to your loved ones as you can be sure that they are eating healthy and they are not alone. For more information, please consult our experts at Optimum Care Home Care Services, your partner in non-medical home care in Greensboro Drive McLean VA. For a complete list of our services, please visit our website at www.optimumcarehomecare.com. This entry was posted in Non-medical home care and tagged companion services, home care, Personal Care, skilled nursing. Bookmark the permalink.